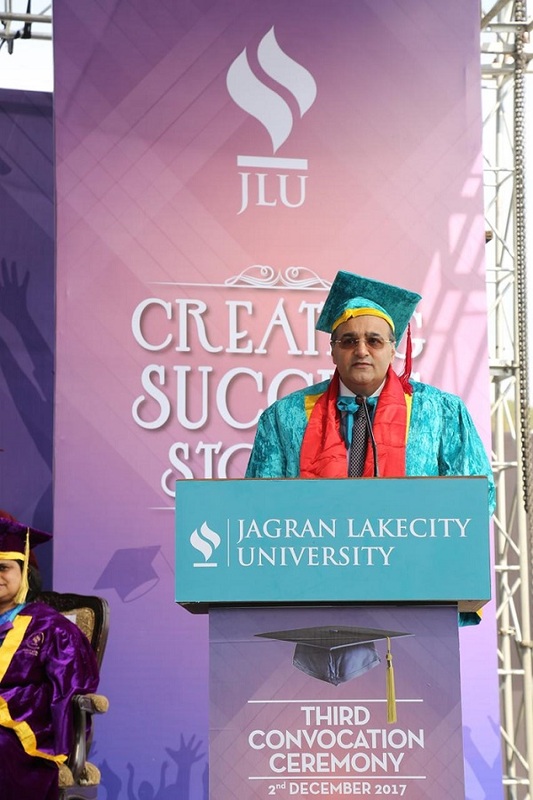 Mr. Kapil Wadhawan, Chairman, Wadhawan Global Capital (WGC) was conferred with an Honorary Doctorate in Management by the Jagran Lakecity University, Bhopal, India. This distinction is a recognition of Mr. Wadhawan’s single-minded focus on the vision of financial and social equality advocated by his father, Late Shri Rajesh Wadhawan during his lifetime. The conferment of the University’s highest honour took place at the convocation ceremony held at its Bhopal campus on 2nd December 2017. Shri Hari Mohan Gupta, Chairman, Jagran Social Welfare Society and Chancellor, Jagran Lakecity University, presented the degree to him. Wadhawan Global Capital (WGC) is one of the leading financial services group in India. WGC manages US$ 20 billion of assets through its Lending, Investment and Insurance platforms. WGC has partnered with leading financial institutions such as International Finance Corporation (IFC), Washington, Prudential Financial Inc., United States, Asian Development Bank and Korea Development Bank. WGC is the parent company for some of the prominent brands in India such as Dewan Housing Finance Limited (DHFL) which is a market leader with three decades of experience in financing affordable housing, Aadhar Housing Finance, Avanse Financial Services, DHFL Pramerica Life Insurance, DHFL Pramerica Asset Managers and DHFL General Insurance. The company has a London based wholly – owned subsidiary Wadhawan Global Capital (UK) Ltd.